Mounting a television is easy right? After all, it's only 4 lag bolts. But that's not the whole story. What's the plan for concealing the wires? How will you get AC power to the TV? Where are you going to place the devices like cable box and Blu Ray player? Now things are a bit more complicated. That's why smart homeowners choose us. They trust our decades worth of experience. They trust our recommendations, and they trust that we care about the project as much as they do. That's the difference between us and the other guys. Hide It All In The Wall. Devices are getting smaller. Some of us have even "cut the cord". 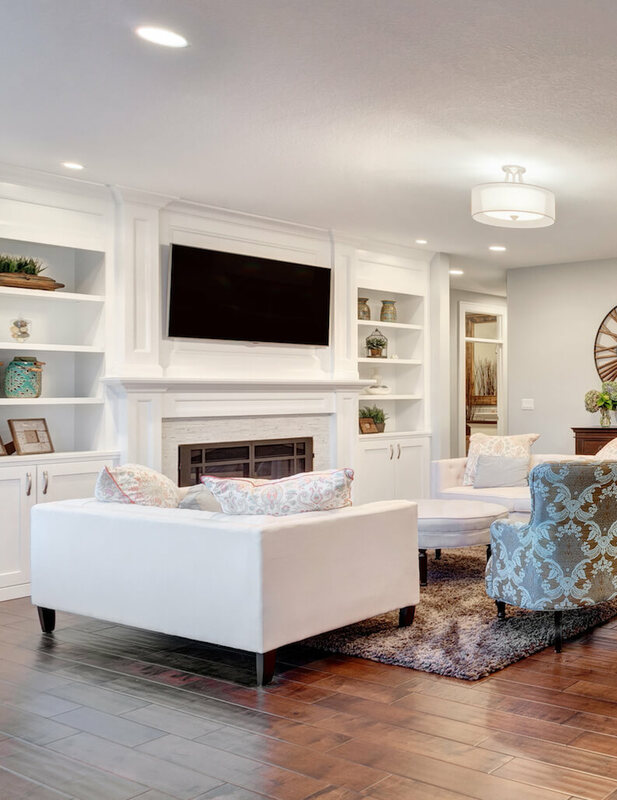 Maybe your TV installation is part of a larger project we're completing for you. What if you could hide your cable box, apple TV and other devices directly behind the television? Now you can. Installed flush in the wall, these storage boxes are designed to hold everything from devices to power supplies, and they're hidden behind the television. That's a Smart TV installation. Want to do a quick room remodel? 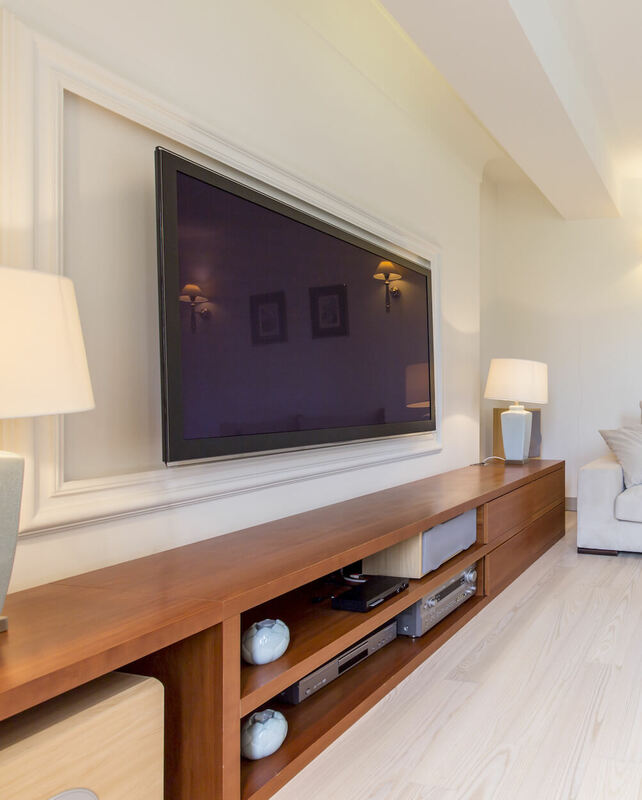 In our opinion, nothing energizes a boring room like mounting a television. Get rid of that old tired entertainment center. Maybe you'd like to hide your cable box, gaming systems, and the rest of the clutter in a nearby closet. Or have everything tucked away in a cabinet underneath. We can do that. 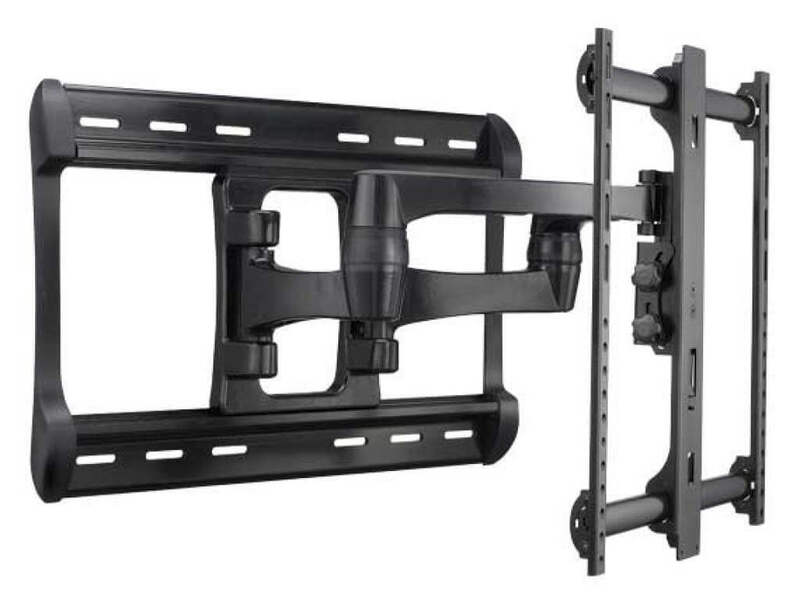 In general, there are three types of television brackets. Fixed Bracket — Adds a sleek, modern look an reduces clutter. Tilt Bracket — Tilts to reduce glare from lights and windows. A great solutions above fireplaces. Full Motion — Swivels left and right for the perfect view from anywhere. The only option that works with corner mounted televisions. Find the right mount for your room. We don't lure you in with a shockingly low price then hit you with "upgrades" and "not included" on the day of the install. We have more respect for our customers than that. We also provide everything needed to complete the perfect installation. There's no need to run out to the big box store to buy cables and mounts. We'll bring everything we need to complete your installation the right way.